What are the signs that you need to have your roof replaced? The first thing to do is to get a pair of binoculars, and look at your roofing shingles from the ground. If your not afraid of heights get a ladder and look at the roofing shingles to verify that there are no holes in the shingles, I want to stress this important message to homeowners that getting on a roof is very dangerous, under no circumstance should you get on the roof if you are uncomfortable on a roof or afraid of heights. Even though the roof may look dirty from streaks, may have pitch or be stained from trees above you may not need to have your roof replaced. If you notice that the shingles are curling up, and you find a lot of grit around your doors that are below your roof, and on your deck or walkways that it directly underneath the roofing material. Then you may have a problem, that is the stone dust that is embedded into the shingle and it’s starting separate from the asphalt that is pressed into the matting of the shingle. 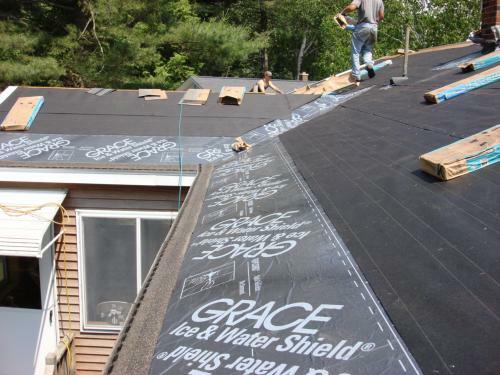 After a certain amount of years being exposed to the sun, and going through all the weather seasons we have here in Maine roofing material does take a beating. So you will find certain amount of grit after 10 to 15 years in your gutters, also after some be rain you will also find portions of your roof shingle. Unfortunately the asphalt dries up once the stone dust or granules come off the shingle, and then will notice the shingles will blister and bubble a lot quicker without the extra stone granules over time. 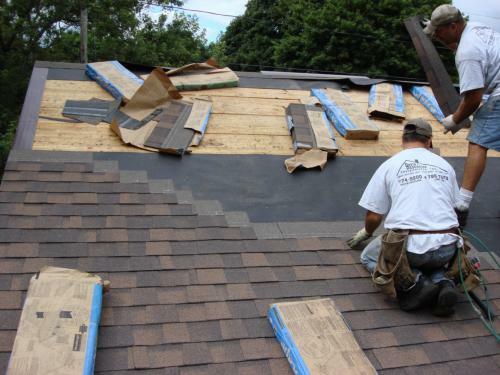 Getting a Maine roofer you can trust can be a challenge, but luckily the Better Business Bureau has great reviews online, or bad reviews online depending upon what roofing contractor here looking at. 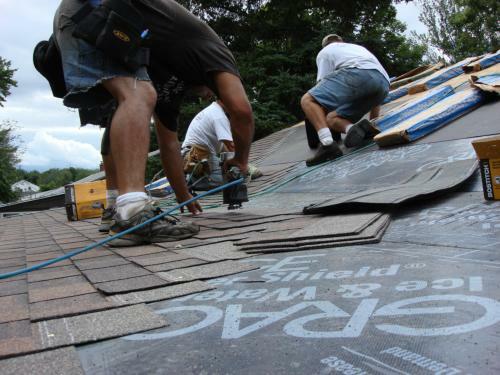 Installing a new roof does require an expertise in the field, many new guys just getting started do not have the experience and you may not get the quality work you want. When you work with a roofing professional like David Deschaine the roof will be replaced exactly the way the manufacturer wants it, and I will look fantastic on your home just the way you wanted to look. Call me today at 774-9200 or you can schedule your appointment on our website by going to our free estimate page here on our website.